Can a Rehab Help Me Beat My Drug Addiction? Nearly everyone knows of or personally cares for someone that’s struggled with an addiction, and sadly this influx of highly addictive substances is only increasing. The unfortunate truth is that the war on drugs has had little effect slowing down the rates of addiction, and has only saturated the penal system with sick, non-violent offenders. The need for treating the disease of addiction “as a disease” and not a crime, is what drug rehab centers set out to do. So What Exactly is a Drug Rehab? 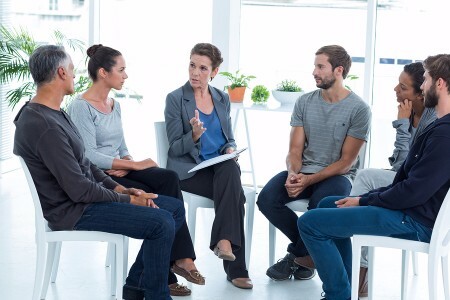 A drug rehab facility usually refers to a residential or inpatient drug rehabs which are used to treat addictions to chemical substances such as alcohol, cocaine, heroin, meth addiction, and amphetamines for example. These centers employ psychotherapeutic treatment as well as medical treatment to enable people to end both their psychological dependence and their physical addiction to drugs. They set out to help people break the cycle of compulsive drug seeking and behaviors, and to set them on a long term path of sustainable recovery. Most centers have 30 day, 60 day, and 90 day options regarding the term of length. Shorter programs have less chance of being affective due to how long it takes the addict to mentally and spiritually be able to receive the various recovery methods. Note… Detox is not the same as rehab. Detox is the initial phase of rehab where a medically supervised client safely rids their bodies physically from the drugs of abuse. This sometimes involves medications and medical treatments. While most centers primarily offer in-house care, there are many options available. Why Do People Seek Out Rehab? People often decide to seek out treatment when the pain of addiction outweighs the pleasure in it. This may come from a traumatic series of events, extreme financial hardships, or legal implications. Some decide to seek out treatment for spiritually related reasons also, desiring to renew their relationship with God. There are many different types of rehabilitation centers. They range from smaller facilities that may or house 20 to 30 patients, luxury facilities, and larger state run facilities that can have hundreds of patients at the same time. There are also Christian addiction recovery centers as well as for other religions; men only facilities; and woman only facilities. The amount of available drug treatment programs can seem overwhelming. A key component in choosing the right recovery center is to do the appropriate research and to gauge what exactly you hope to accomplish while there. Understanding what type of settings make you comfortable and relaxed is also important. While some people prefer to be immersed in nature or surrounded by wildlife, others prefer to be close to the city and people. Another question you need to ask yourself is whether or not you want to be close to home. There are advantages both to being near home and away. Another contrasting factor is the style and setting of your living area. Some centers offer residents private rooms while others use more of a dormitory style. Many recovery centers even take the time to make sure that the living area has a home like feeling to maximize the comparability level. Sometimes people struggle with the decision of going to a long-term in-house recovery program because they don’t want to put their lives on hold. This idea is actually counter intuitive, but the truth of the matter is that you will never fully experience the potential of life while you are an addict and that sometimes you need to take two steps back to take three steps forward. What Are Some of The Goals of Drug Treatment? The main goal or recovery is to show you how to live without depending on alcohol and drugs. In early addiction, it seems like the good times will never end. The consequences are minimal and there are usually plenty of friends around. By the time for long addiction sets in, everything is bad. There are no good times anymore, the consequences escalate, and most of your “friends” have moved on to a better party or given up on your together.